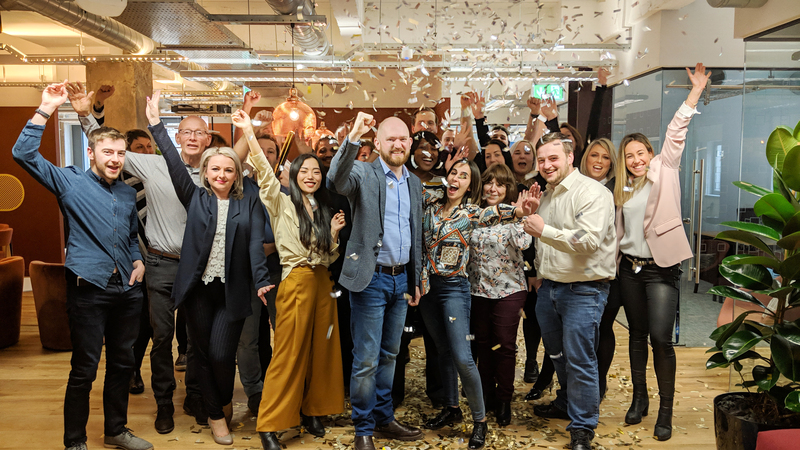 European online parking reservation leader, ParkVia, has today announced that the company has been awarded its second prestigious Queen’s Award for Enterprise in the category of International Trade under its former brand name, ParkCloud. Following outstanding continuous growth in global sales over the last six years, the leading airport parking retailer impressed with a total overseas growth of 223%, resulting in its second Queen’s Award for Enterprise – having secured its inaugural award in 2014. As the highest official UK awards for British businesses, the accolade will be formally conferred later this year by the Lord-Lieutenant at ParkVia’s head office in Manchester, in addition to the official royal reception which will be hosted by HRH The Prince of Wales in June. As an established partner for many of the world’s leading international airports, parking operators and travel industry partners, ParkCloud – which has recently completed a rebrand under its existing popular B2C brand, ParkVia – markets parking spaces to drivers in more than 150 countries. During the term of its first award, the company has grown significantly particularly within the wider airport parking sector, to encompass parking coverage across 42 countries for its 10 million website visitors. In addition to the exceptional growth of its own network, the team has worked hard to establish itself as a recognised supplier to the aviation industry, collaborating with in excess of 22 airlines which includes British Airways’ owner and global airline giant, IAG (International Airlines Group), easyJet, Ryanair and Wizz Air. 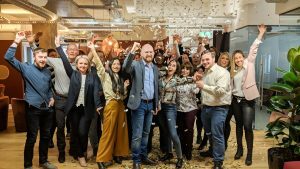 The online parking reservation provider is one of 201 organisations nationally to be recognised with a prestigious Queen’s Award for Enterprise. “Receiving a notice that Her Majesty The Queen has approved the Prime Minister’s recommendation that your company should receive a Queen’s Award for Enterprise is a significant milestone for any U.K business, but to have received this honour twice in six years is quite an extraordinary achievement. Now in its 53rd year, the Queen’s Awards for Enterprise are the most prestigious business awards in the U.K, with winning businesses able to use the esteemed Queen’s Award emblem for the next five years alongside the commercial benefits the award garners. As Europe’s favourite airport parking retailer, ParkVia is dedicated to connecting the world’s drivers with parking spaces in 42 countries. Its online retail platform allows consumers to book parking as part of their journey, working with both car park operators and travel industry market leaders to ensure that parking is visible at the right time. Encouraging its philosophy of ‘Choose parking’, ParkVia believes pre-booking is the key element in the travel process, allowing customers to plan in advance and giving them freedom of choice to select the parking product that suits their specific journey type. Founded in 2008, ParkVia has grown in popularity and reputation over the last 11 years, particularly within the wider airport parking sector. As an established partner for many of the world’s leading international airports, ParkVia is able to maximise visibility for official car parks and ancillary products by covering more points of entry with its targeted marketing expertise. Today the services of over 2,000 parking providers are promoted to ParkVia’s 3.5m registered users, as well as a large network of partner websites, that includes airlines, travel partners, online travel agents and in-car navigation technology – making it an attractive and lucrative proposition for partners looking to collaborate for white label and in-path projects. MOUNT RUSHMORE (KEYSTONE), SOUTH DAKOTA – On Earth Day, Monday, April 22, at 2 p.m Xanterra Travel Collection is set to unveil the new Thomas Jefferson Solar Canopy at Mount Rushmore National Memorial. This extraordinary structure provides over half of the electricity used by Xanterra’s gift shop and restaurant at Mount Rushmore. The system is the second largest solar installation in the state. It will reduce Xanterra’s greenhouse gas emissions by 24 percent or 56 MT CO2e/yr which is the equivalent of taking 30 passenger vehicles off the road each year. The system includes 975 solar panels mounted on a carport structure. The project was funded by Xanterra Travel Collection, a global adventure travel company and the largest national park concessioner in the U.S., which operates the parking facility. The project was designed and managed by Pivot Energy and was built by SunPower Corporation and Circuitus Energy. The solar canopy was completed in conjunction with many other improvements to the parking facility including a Parking Access Revenue Control System, which provides guests the opportunity to pay for parking on foot during their visit, and an Automatic Parking Guidance System, which indicates how many parking spaces are available in each area. Other significant improvements include all new LED lights and lighting controls, sustainability signage, a tire inflation station, bicycle lockers, and electric vehicle charging stations that will be coming soon. These modernizations and environmental improvements to the parking facility support Mount Rushmore National Memorial’s status as a Climate Friendly Park. This status indicates that the National Park Service, Xanterra, and other park partners are carrying out a climate action plan focusing on sustainability, energy reduction, waste management, water usage, and adopting other best practices. More details about the improvements will be announced by Xanterra, National Park Service, and other partners at a formal ribbon cutting ceremony on April 22 at 2 p.m. MDT under the solar canopy on the parking facility. Xanterra’s new solar installation at Mount Rushmore comes on the heels of an ambitious sustainability program in 2018 that now helps produce clean, renewable energy for facilities in several of the country’s iconic national parks including Rocky Mountain National Park in Colorado, Grand Canyon National Park in Arizona, and Death Valley National Park in California. The four new systems generate a total of 4.5 million kilowatt hours per year, equivalent to the energy used in about 426 average American homes and will avoid the carbon emissions from 3.7 million pounds of coal each year. Two of the systems, in Rocky Mountain National Park and at The Oasis in Death Valley National Park, are specifically designed to withstand extreme natural conditions – high elevation, below-zero temperatures, significant snowfall and very strong winds at the former and intense heat and desert conditions at the latter. A leader in addressing climate change for nearly two decades, Xanterra is focused on the challenge of decreasing greenhouse gas emissions as part of its overall commitment to operate with “a softer footprint.” The company’s 2025 corporate sustainability goals include using 5 percent less energy annually and reducing carbon emissions by 50 percent between 2014 and 2025. Mobile Smart City has announced that Steve Snyder has been named Vice President of Business Development. Steve has held past positions as President of Hectronic USA for the last 6 years, as well as senior management positions at Comcast, Motorola, ADT and Parkeon. Steve has extensive experience in business development, operations, support and service roles. His experience ranges across the software, hardware, communications, networking, digital transmission, card identity and security fields. “We are very happy and excited that Steve has joined the Mobile Smart City team” said John J. Incandela President and CEO of Mobile Smart City “His experience and knowledge in this industry will help expand our service divisions- Hectronic andPango Mobile Pay. Steve’s professional track record will strengthen our commitment to our current and new partners as well as help develop and implement new solutions and services.” Since the acquisition of Pango USA, Mobile Smart City has tripled its size in number of customers and users, not only in the US but also in Latin America. Steve brings a unique expertise in the Parking industry and he will now be able to offer the US customers a fully integrated platform where they can manage a single payment transaction from different channels: a Hectronic paystation or the Pango Mobile App. Mobile Smart City isthe Fintech company providing mobile payment services for parking, transit, ride-hail and other city services, offerings include Mobile payments, Availability, Enforcement, Permits, Parking Management and On/Off street parking equipment and traffic analytics and is available in more than 60 cities worldwide, serving more than one million active accounts. Invented in 1997, US Patent No. 5,940,481, with its Corporate Headquarters based in Ft. Lauderdale, Florida, Mobile Smart Cityhas introduced first- of-its-kind technology in the United States; it has been in use since 2006. NEW YORK, NEW YORK – April 23, 2019 – Park Assist has been awarded the Parking Guidance System (PGS) contract for the Duke University Hospital in Durham, NC. Duke University Hospital is a full-service hospital that is ranked among the nation’s best hospitals, and is known for their impeccable care and innovative research. Park Assist’s patented M4 camera-based smart-sensor PGS will be implemented in a garage that contains 1,606 spots across the six level parking structure. With innovation in mind, Duke University Hospital chose to implement Park Assist throughout their garage to make parking a user friendly experience throughout the location. The Park Assist M4 smart sensor system with digital signage was chosen to help effortlessly guide parkers to available spaces and alleviate congestion especially during peak periods. In addition to better traffic flow, the M4 system was selected because of it’s proven track record of delivering a stress free parking experience for visitors, patients, volunteers and staff. Duke University, one of the premier universities in the nation chose Park Assist because of its advanced technology and data gathering functionality. “We are excited to provide this technology so our patients and visitors will be able to maneuver more quickly and efficiently throughout the garage,” said Carl DePinto, Director of Duke Parking & Transportation Services. Park Assist’s robust software suite will enable the university to make data driven decisions regarding parking preferences and behaviors as well as operational efficiencies. The system’s installation is expected to be completed by Q2 2019. “Park Assist is honored to partner with Duke University Hospital, one of America’s iconic health care institutions, to help deliver an effortless, stress free parking experience for patients, visitors, staff and volunteers,” said Vince Balsamo, Park Assist General Manager of North America. Hartford, Connecticut – Propark America (“Propark”) has announced the appointment of John Reimers as Chief Operating Officer. Reimers comes to Propark with substantial leadership experience guiding operational divisions at national parking management and transportation solution companies. Reimers most recently served as Vice President of Towne Park, where he directed the day-to-day operations of its successful West Coast region. 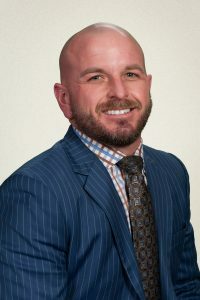 Reimers has held numerous other leadership positions over his twenty-year parking industry career, including his work with Mile Hi Valet Services, overseeing a portfolio across eight states. As Chief Operating Officer, Reimers will work with the executive team, corporate leaders, and field staff to provide strategic direction, drive innovation, and ensure excellence in operations. His operational responsibilities will also include brand standards implementation, operating procedures, and the review of operating models and organizational efficiency in order to improve the company’s profitability and brand awareness. Propark America is one of the country’s largest privately-owned parking companies, providing full-service parking solutions and mobility services for all business types, in over 75 cities across the United States. For more information, please visit www.propark.com. 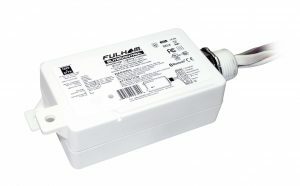 HAWTHORNE, Calif. – April 23, 2019 – The new Bluetooth to 0-10V SmartBridge from Fulham Co., Inc., a leading supplier of lighting components and electronics for commercial and specialty applications, has been recognized as the 2019 Product of the Year in Lighting Control Equipment by Electrical Construction & Maintenance magazine. By installing the new Bluetooth SmartBridge controller, wireless Bluetooth access and control can be added to remotely manage and monitor any 0-10V dimmable LED luminaire. The Bluetooth to 0-10V SmartBridge offers a simple and easy-to-install means of adding Bluetooth mesh support to installed 0-10V LED drivers. By adding Bluetooth mesh support, multiple LED controllers can be incorporated into a wireless network to manage the building’s lighting infrastructure. Since the Bluetooth SmartBridge is compliant with the specifications for SIG Qualified Bluetooth mesh it can support two-way data communications, so the SmartBridge can be used to remotely commission LED drivers and update firmware, as well as monitor and control luminaires from any Bluetooth-enabled device. Fulham has just released its own iOS- and Android-compatible mobile apps to provide Bluetooth lighting controls from a smartphone or tablet. The Bluetooth SmartBridge is being offered in two configurations. Fulham’s Model CTBRCB02JM02 Bluetooth SmartBridge provides wireless on/off and 0-10V dimming controls for a transmission range up to 50 meters/160 feet at 2.4GHz. The Bluetooth SmartBridge has 120 to 277VAC input, as well as a sensor input for motion controls and daylight harvesting. Fulham’s Model CTBRCB03JM03-PC offers additional functionality, including power metering and color tuning. Both units are designed for indoor or outdoor use at operating temperatures from -40 degrees to 140 degrees (Fahrenheit) and come with Fulham’s five-year warranty. For more information, visit www.fulham.com. Fulham Co., Inc. is a leading global provider of intelligent, socially-conscious sustainable commercial lighting components and electronics for use in commercial general lighting, parking structure, signage, horticultural, UV and other applications. The company develops and manufactures a variety of award-winning LED and emergency products, lighting controls, as well as legacy products across multiple lighting platforms. Fulham sells its lighting solutions worldwide through original equipment manufacturers (OEMs) and electrical equipment distribution channels. Headquartered in Hawthorne, Calif., the company has sales and/or manufacturing facilities in the Europe, China, and India. For more information, visit www.fulham.com, @FulhamUSA or @FulhamEurope. JOHANNESBURG, South Africa, April 18, 2019/ — Siemens (www.Siemens.co.za) has launched a new web-based application which reveals the readiness and potential of six major cities to embrace digitalization and develop new ways of living, working and interacting. The Atlas of Digitalization focuses on 3 interconnected themes – Mobility, Sustainability and Opportunity – and assesses how the fourth industrial revolution has already augmented urban life around the world, and the potential impact it could have in the future. While each city is unique, they all share one characteristic – their ingenuity in using digital technologies to make infrastructure more efficient and productive, and to address challenges such as air pollution, congestion, population growth and natural hazards. Siemens AG (Berlin and Munich) (www.Siemens.com) is a global technology powerhouse that has stood for engineering excellence, innovation, quality, reliability and internationality for more than 170 years. The company is active around the globe, focusing on the areas of power generation and distribution, intelligent infrastructure for buildings and distributed energy systems, and automation and digitalization in the process and manufacturing industries. Through the separately managed company Siemens Mobility, a leading supplier of smart mobility solutions for rail and road transport, Siemens is shaping the world market for passenger and freight services. Due to its majority stakes in the publicly listed companies Siemens Healthineers AG and Siemens Gamesa Renewable Energy, Siemens is also a world-leading supplier of medical technology and digital healthcare services as well as environmentally friendly solutions for onshore and offshore wind power generation. In fiscal 2018, which ended on September 30, 2018, Siemens generated revenue of €83.0 billion and net income of €6.1 billion. At the end of September 2018, the company had around 379,000 employees worldwide. Further information is available on the Internet at www.Siemens.com. San Diego, CA: Dixon Resources Unlimited is pleased to welcome Kenzie Coulson to the team as DIXON’s newest Associate. With over 20 years in transportation, Kenzie has extensive experience launching complex projects, planning for traffic mitigation, and developing parking strategy. As Parking and Fleet Administrative Supervisor with Park City Municipal Corporation in Park City, Utah, she overhauled the entire parking department, facilitating the launch of nine new technologies, infrastructure upgrades, wayfinding improvements, and policy updates that included the introduction of paid parking. Kenzie has a wide breadth of project management experience aimed at overcoming logistically-strained operations. As a Senior Manager for Sundance Institute, Kenzie managed all elements of transportation for the Sundance Film Festival, including the scoping and development of a logistics management database and various traffic and parking plans. Sundance Institute, founded by Robert Redford, hosts the annual Film Festival, which draws more than 70,000 patrons each year into the narrow streets of Park City. Accommodating this volume of guests in a small corridor requires a carefully implemented parking, transit, and curbside plan, a challenge which allowed Kenzie to put to use her skills in managing seasonal flux and budget restrictions. Kenzie’s leadership role in Park City proved her ability to fit within the DIXON ethos, showcasing her willingness to customize a community-specific solution. Working alongside the DIXON team, she helped develop the specifications necessary to solicit a comprehensive parking technology system. The Park City solution integrated transportation demand management (TDM) with a progressive incentive program to encourage the use of alternative transportation such as transit and carpooling. Her efforts have allowed the Park City operation to become a model for TDM and parking solutions. Earlier in her career, Kenzie worked on a Software as a Service (SaaS) booking engine that has grown to offer white-label service for prominent events, cities, and destination markets. Her involvement with the launch of the start-up involved all aspects of managing technical development, contracting partners, sales, operational oversight, and marketing, including the development of the website www.stayparkcity.com. Her diverse experience allows her to effectively foresee potential roadblocks to success. Kenzie’s roots are in operational team management. She values the operator’s voice and perspective and works to understand the “devilish” details in every project. 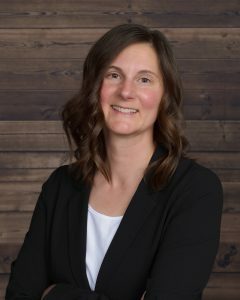 She’s managed multiple teams, including a FedEx Ground/Home Delivery terminal, a wilderness lodge in Glacier Bay Alaska, and most recently, the electric bus fleet in Park City. As a Project Associate, Kenzie will work directly with customers to assess, design, build, and operate successful parking programs. She will primarily focus on developing on-street and off-street parking solutions, engaging stakeholders, developing operating plans, and assisting policy development. By integrating her practical experience with a personal touch and commitment to customer service, she will ensure that DIXON’s customers are able to seamlessly implement their parking solutions. Dixon Resources Unlimited is a consulting firm that specializes in municipal parking, transportation, and mobility solutions. DIXON’s uniquely-qualified team specializes in supporting municipal parking and mobility programs across the country, consistently proving its ability to identify and implement operations, management, and technology recommendations to transition municipal parking operations to long-term, sustainable programs. Charlotte, N.C. (April 18, 2019) — Passport, the leading mobility management platform, announces the hiring of Greg Hammermaster as head of payments. With more than $1 billion in payments processed to date, Passport is the world’s leader in payments in the transportation industry. Greg brings to Passport nearly 30 years of experience working with some of the world’s largest banks, card issuers and merchants, including First Data, Sage, SunTrust, Visa and US Bank. He will work closely with Passport’s product, engineering, marketing and sales teams to develop an even more robust and competitive merchant processing offering for the company’s nearly 600 worldwide clients. The goal is to provide clients with a seamless transaction journey coupled with excellent customer service and full transparency into all the payment components. Since raising $43 million in Series C investment from Bain Capital Ventures in December 2017, Passport has focused on making strategic hires across the organization. Earlier this year, Passport added Brian Mooney, seasoned payments executive to its board of directors. Hartford, Connecticut – Propark America announced today that it is opening its latest near-airport parking location, servicing Fort Lauderdale-Hollywood International Airport, in Florida. With 400 spaces of premium parking, the new location, Discount Parking FLL, is expected to alleviate some of the parking challenges at, and around, the airport, which sees 36 million passengers annually. With only 12,000 on-airport parking spaces and just 4,800 off-airport stalls, this new inventory will help to support the large passenger volume. Discount Parking FLL will also service the nearby Port Everglades Cruise Port, which caters to nearly another 4 million passengers annually. As the fourth busiest cruise port in the world, additional parking capacity is a welcome addition. Cruise patrons will receive the same valet parking convenience that Fort Lauderdale-Hollywood International Airport travelers will experience at Discount Parking FLL. Discount Parking FLL will provide air travelers and cruise patrons with premium valet parking service, shuttle transportation twenty-four hours per day and guaranteed online reservations on their website. As part of the grand opening, people will be able to go to www.DiscountParkingFLL.com to reserve their parking at only $4.95 per day. Guests will also be able to earn free parking perks through a frequent parker loyalty rewards program, which they will be able to manage online and on a mobile app.